February 19, 2008 ~ 9:10 a.m.
Request for waivers of Gunnison County standard specifications for road and bridge construction for the access road to Womble Tracts and for accees to other properties through Womble Tracts. HEARING DATE, TIME AND LOCATION: The Gunnison County Board of Commissioners will conduct a public hearing, February 19, 2008 at 9:10 a.m., in the Commissioners’ Meeting Room of the Gunnison County Courthouse to hear public comment concerning an application for waivers of the Gunnison County Standard Specifications for Road and Bridge Construction for Albert Roper. A copy of the request and supporting documentation can be reviewed at the Gunnison County Public Works Department at 811 Rio Grande, Gunnison, Colorado from 7:30 a.m. to 4:30 p.m. weekdays. PROPERTY LOCATION: 8256 Hwy 135, Almont, Colorado, approximately 8 miles north of Gunnison off of Highway 135. PURPOSE OF WAIVER: To permit the subdivision of three parcels, approximately 1.3 acres in size, from the Roper ranch parcel for the purpose of construction of no more than six residential dwellings. 1. Width of Right of Way: A waiver of width for any portion of the road for which the platted width is less than sixty feet (60’). 2. Roadway Cross Section: The required section for a rural lane is identified in the Appendix of the County Standards. The existing "traveled" roadway width varies from 12 to 24 feet, with maintenance activities and driving patterns establishing the width, although in places it is wider than the minimum actual traveled. A variance of the County cross section standard, consisting of roadway width, crown slope, gravel depth, and drainage side ditches is requested. 3. Bridge Load Limits: There are two bridges on the access road to the property that have been in use for many years. The bridge over the Gunnison River is rated at 17-26-27 tons based on a recent inspection of the bridge by SEH, Inc. An inspection of the bridge has been done and the rating is available at the Gunnison County Public Works Department. POSSIBLE ACTION: Formal action may be taken on the waivers required at this meeting. PUBLIC PARTICIPATION: The public is invited to submit verbal or written comments at the hearing, or to submit written comments by FAX (970) 641-8120, or by letter (to the Gunnison County Public Works Department, 811 Rio Grande, Gunnison, CO 81230), so long as they are received by 5:00 p.m. the evening before the date of the meeting so that they may be submitted for the public record during the hearing. Additional information may be obtained by calling the Public Works Department office at (970) 641-0044. ADA ACCOMMODATIONS: Anyone needing special accommodations as determined by the American Disabilities Act may contact the Public Works Department prior to the day of the meeting. February 7. 2008 ~ 1:15 p.m. REGULARLY SCHEDULED MEETING FOR ENVIRONMENTAL HEALTH BOARD HEARING DATE, TIME, AND LOCATION: The Gunnison County Environmental Health Board will conduct a public meeting Thursday, February 7, 2008 at 1:15 p.m. in the Planning Commission Meeting Room of the Blackstock Building Gunnison County Plaza, 221 N. Wisconsin, second floor for election of officers and review of Environmental Health Board policies and procedural guidelines and review the final draft of the PROPOSED AMENDMENTS TO THE 1995 GUNNISON COUNTY INDIVIDUAL SEWAGE DISPOSAL SYSTEM REGULATIONS. The public is invited. PUBLIC PARTICIPATION: The public is invited to submit verbal or written comments at the meeting, or to submit written comments by FAX (970) 641-8585, or by letter (to Gunnison County Environmental Health, 221 N. Wisconsin, Gunnison, CO 81230), so long as they are received by 5 p.m. the evening before the date of the meeting so that they may be submitted for the public record during the hearing. Additional information may be obtained by calling the office, (970) 641-5105. ADA ACCOMMODATIONS: Anyone needing special accommodations as determined by the American Disabilities Act may contact the Environmental Health Office prior to the day of the meeting. Gunnison County 221 N. Wisconsin, Second floor. All meetings are open to the public. Anyone needing special accommodations please contact the Environmental Health Office prior to the meeting. NOTE: Unless otherwise noted, all meetings are conducted in the Blackstock Government Center Meeting Room of at 221 N. Wisconsin St. in Gunnison, across the street from the Post Office. This is a preliminary agenda; agenda times may be changed by the staff up to 24 hours prior to the meeting date. If you are interested in a specific agenda item, you may want to call the Planning office (641-0360) ahead of time to confirm its scheduled time. Anyone needing special accommodations please contact the Planning Office prior to the meeting. The U.S. Forest Service is seeking your input. The following trail project will be considered on National Forest System lands for 2008 on the Gunnison National Forest, Gunnison Ranger District. KEBLER WAGON TRAIL PROJECT: The existing 2.6 mile segment of the Kebler Wagon Trail (NFST #606) currently provides a non-motorized travel route parallel to the existing motorized Kebler Pass Road (County Road 12), running from the area of the county gravel pit on the east and almost connecting to the Lake Irwin road on the west. The existing trail is open to all non-motorized summer trail users including mountain bikes. The proposed project consists of continuing the Kebler Wagon Trail further to the west near the Irwin Road intersection to a point close to the Gunnison Ranger District Paonia Ranger District boundary near Kebler Pass. Total project length is approximately 8,701 linear feet. New trail construction proposed is approximately 7,270 linear feet with part of the total project length following or crossing existing roads. The project, if implemented can be built progressively between road segments. The project location is T14S, R87W, Sections 10, 3. Maps of the project area are available at the Gunnison Ranger District office. The project is designed to provide a quality and safer non-motorized experience off of the very busy and popular Kebler Pass Road. The Forest Service is scoping for specific issues or concerns on the above proposed trail project. Please reply to this office in writing by February 21, 2008. Send comments to Greg Austin, Trails Manager, Gunnison Ranger District, 216 N. Colorado, Gunnison, CO. 81230 or e-mail comments to gpaustin@fs.fed.us . The US Forest Service is seeking public input on Special Use proposals that have been received by the Gunnison Ranger District. CRESTED BUTTE NORDIC COUNCIL is requesting the addition of approximately 2 kilometers of groomed Nordic ski trail in the vicinity of Tony's Trail. The groomed trail is located in the vicinity of the existing groomed system on the National Forest. The proposed trail loop will add additional expert Nordic skiing opportunities to the existing system. DOLLY MOUNTAIN SHUTTLE is requesting the issuance of a five year permit for providing shuttle services for hikers and mountain bikers around the towns of Crested Butte and Aspen along the following Forest Service Roads: Kebler Pass, Taylor Canyon & Park, Jack’s Cabin, Cement Creek, Brush Creek, Washington Gulch, Gothic on the Gunnison Ranger District and Castle Creek (Aspen), and Maroon Creek (Aspen) on the Aspen/Sopris Ranger Districts. Current permit expired December 2007. COLORADO CROSS COUNTRY is requesting a special use permit for a Ice Lemans Snowmobile Race event on Taylor Reservoir. This event would take place on March 8- 9, 2008, with approximately 75 participants. The tournament participants will be on a serpentine mile course. 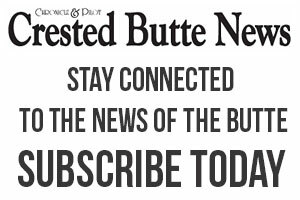 CRESTED BUTTE MOUNTAIN RUNNERS is requesting a special use permit for a series of fun runs that take place in the Crested Butte area from May to September. Fun runs include Green Lake (Grin and Bear It), Strand Hill, Walrod Gulch, Washington Gulch, Irwin/Dyke, Gothic/Trails, Almont Triangle, and Snodgrass. An estimated 200 participants may use Forest Service roads and trails during these fun run events between May and September. CRESTED BUTTE WILDFLOWER FESTIVAL is requesting a special use permit for a week long festival and a fall foliage tour that takes place in the Crested Butte area. Wildflower viewing areas include Poverty Gulch, Oh-Be-Joyful, Lake Irwin, Schofield Pass/Rustler Gulch/Trailriders, West Maroon Pass, Copper Creek, and Crested Butte Mountain. The festival is scheduled to take place during July. The fall activity is to be determined. An estimated 300 participants may attend and hike on Forest Service trails and private lands to view and learn about wildflowers, art and photography. ELK MOUNTAIN GRAND TRAVERSE SKI RACE is requesting a special use permit to conduct their yearly cross-country ski race from Crested Butte to Aspen in the Brush Creek, Star Pass, Taylor Pass, Richmond Hill, Aspen Ski Area areas on March 28-29, 2008. They expect approximately 250 participants. FAT TIRE BIKE WEEK is requesting a permit for a week long mountain bike festival that takes place in the Crested Butte area. The bike week event is planned for June 2008 and will use approximately 200 miles of Forest Service roads and trails. There will be approximately 165 individual participants. ROCKY MOUNTAIN 400 is requesting a special use permit to conduct a dual sport motorcycle ride between Crested Butte and Ouray on September 9-12, 2008. Routes will include a combination of Forest Service, BLM, County and State roads to include Kebler Pass, Ohio Pass, Mill Creek to Lands End, Powderhorn, Cannibal Plateau, Slumgullion Pass, Cathedral, Engineer and Cinnamon Pass. There will be approximately 165 individual participants. In order to make an informed decision on the issuance of these permits, the Gunnison Ranger District is accepting comments on the proposals. Comments must be received within 30 calendar days of the publication of this legal notice in the Gunnison Country Times. Comments may be submitted in writing to the following address: Gunnison Ranger District. Attn: Ray Rossman, 216 N. Colorado Street, Gunnison, Colorado 81230. Comments may also be submitted electronically to rrossman@fs.fed.us. Additional information is available by contacting the Gunnison Ranger District at (970) 641-0471. Request for waivers of Gunnison County standard specifications for road and bridge construction for the access road to Glatiotis Subdivision. HEARING DATE, TIME AND LOCATION: The Gunnison County Board of Commissioners of the County of Gunnison, Colorado will conduct a public hearing on February 19, 2008 at 8:40 a.m., in the Commissioners’ Meeting Room of the Gunnison County Courthouse to hear public comment concerning an application for a waiver of the Gunnison County Standard Specifications for Road and Bridge Construction by Pete Glatiotis. A copy of the request and supporting documentation can be reviewed at the Gunnison County Public Works Department at 811 Rio Grande, Gunnison, Colorado from 7:30 a.m. to 4:30 p.m. weekdays. PROPERTY LOCATION: Replat of Lot 2B, according to the official replat of Glatiotis Subdivision recorded with the Gunnison County Clerk and Recorder, bearing Reception #448749, physical address being 663 County Road 13, Gunnison, CO 81230. PURPOSE OF WAIVER: To permit the subdivision of Lot 2B into six lots, approximately .5 acre in size. POSSIBLE ACTION: Formal action may be taken on the waiver required at this meeting. • Unscheduled citizens: A brief period in which the public is invited to make general comments or ask questions of the Commission or Planning Staff about items which are not scheduled on the day’s agenda. NOTE: Unless otherwise noted, all meetings are conducted in the Blackstock Government Center Meeting Room at 221 N. Wisconsin St. in Gunnison, across the street from the Post Office. This is a preliminary agenda; agenda times may be changed by the staff up to 24 hours before the meeting date. If you are interested in a specific agenda item; you may want to call the Planning Department (641-0360) ahead of time to confirm its scheduled time. Anyone needing special accommodations, please contact the Planning Department before the meeting.